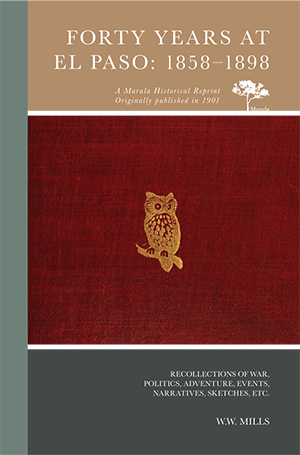 Recollections of war, politics, adventure, events, narratives, sketches, etc. These writings are meant to be truthful, but they are too rambling and egotistical to possess much historical value. Few subjects are treated of except such as the writer was personally connected with or in which he felt a special interest. Much that he was tempted to write has been omitted out of consideration for the living and the dead and their relations. The book will have little interest except for those who know something of El Paso or of the men and events treated of, or of the writer himself. For such only is it written.